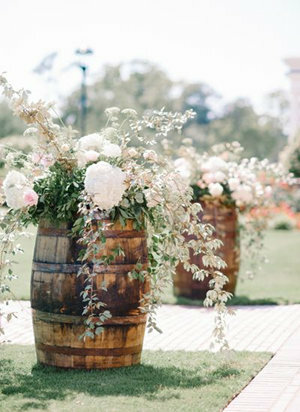 These vintgate barrels retired from a wine distillery will add that perfect look to your next event! they stand at 3 feet and are 2 feet wide. We have added our Top Notch Quality by reinforcing them with scews giving you the reasurance they wont crumble apart when a guest leans against one. Question: Do the wine barrels come with greenery? Question: What are the demension of the wine barrel?